ZIGMA is an association of Zimbabwean Gospel musicians based in UK. T he Association was launched in December 2006 as part of efforts to unite Zimbabwean gospel musicians based in the diaspora. Almost thirty years into the epidemic HIV is still a major concern for public health in Europe and the rest of the world, with many living with HIV unaware of their status. Low awareness of personal risk of HIV infection and fear of stigma and discrimination accounts, in part, for low uptake of testing services. Recent reports from the BBC indicated that little was being done by the government to heighten awareness of HIV despite a rise in new HIV cases. Ahead of World Aids Day coming up on the 1st of December ZIGMA stars funded by the Big Lottery will be holding a Gospel Extravaganza at the All Nations Centre in Leicester on Friday the 28th October 2011. The purpose of this event is to support the government’s initiative to raise HIV awareness in the UK. The concert starts at 6pm till 11:30pm. Activities such as gumboot dance, mbira, and drumming workshops have been lined up from 5-6pm. This is to enable the artists to interact with the community who will have the opportunity to learn about the services available to them. ZIGMA has joined forces with local Sexual Health and HIV agencies who will be available on site to address the persistent discrimination and stigma associated with HIV/AIDS as these are major barriers to people seeking HIV testing, treatment and care. This is part of our ongoing outreach program to present social issues about HIV in sensitive ways that help people question long accepted behaviour patterns. With HIV being an increasingly common disease in the UK our vision is to use the power of community leaders, music, and dance to send the message across. It is hoped that by promoting behaviours that reduce HIV transmission and promote support for those with the infection, the outreach program will prevent the spate of the disease and help those who are hit hardest. The concert will be presented by high profile presenters Ezra Tshisa Sibanda and The General Eric Knight of Visionsradio . 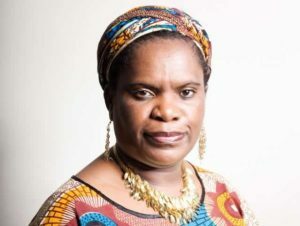 Speaking at the concert will the CNN Heroes Awards Winner Betty Makoni, a girls child rights activist, founder and director of Girl Child Network (GCN). The concert is an excellent opportunity for our mission to use the media to support our efforts in reducing the spread of the disease.